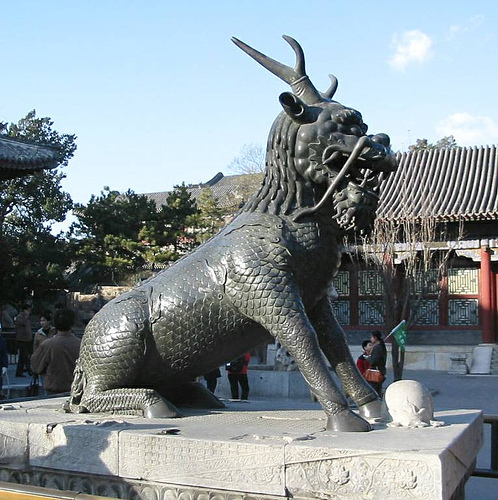 The Qilin is based in chinese lore. It is a mythical hoofed chimera that appears as a mixture of a Dragon, deer and unicorn. Said to appear with the imminent arrival or passing of a sage or illustrious ruler. It is often depicted with what looks like fire all over its body. It was sometimes called the “Chinese unicorn”. 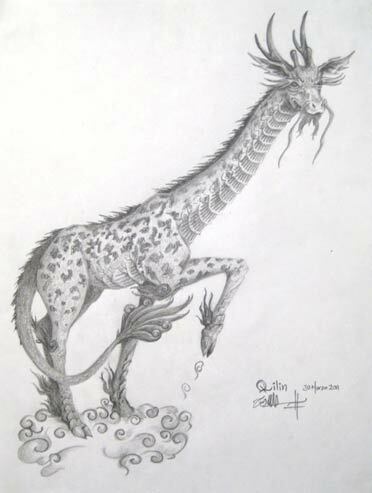 In Fantasy RPG’s The Quiln is often called the Kirin. The Kirin are other planer spirits of law. They are powerful spell casters and it is said their hooves never touch the ground. They on very rare occasions will allow the most devout Paladins to ride them into battle. 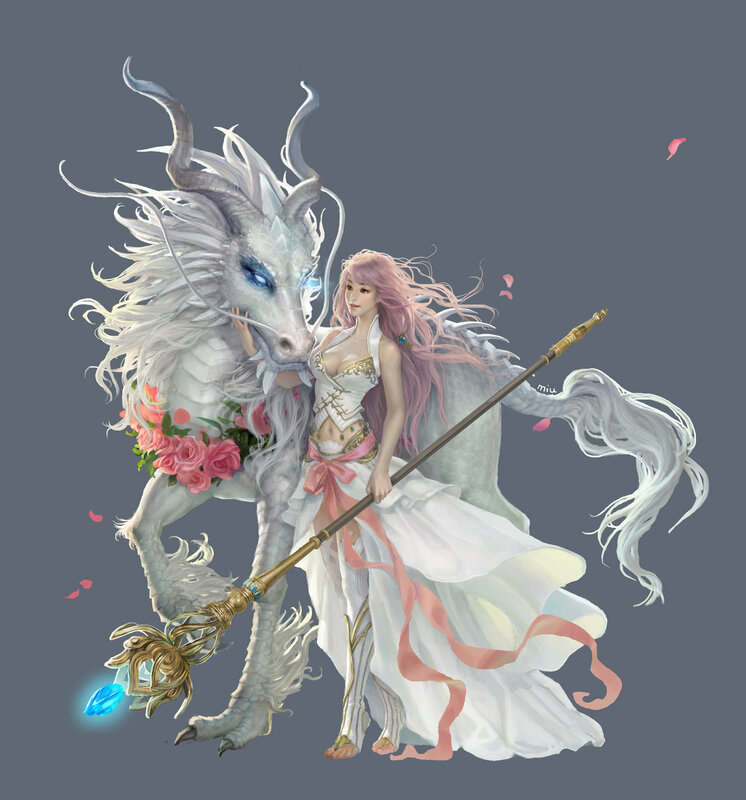 These beings are always Lawful Good and the female Qilin are never seen. Leading some to wonder if the creatures are of pure magic or if there are any females of their kind at all. These are truly Majestic and powerful creatures. It is believed that the origin of this creature is rooted in reality. 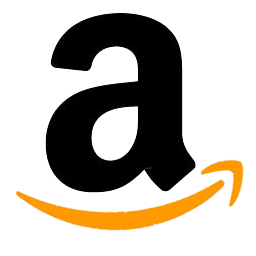 Some speculate that it is a stylized Giraffe. Due to Giraffes were imported to the region and were referred to as “Qilins”. Yet the Statues of Qilin do not seem to support this. Previous postAppendix N Kickstarter – Almost as Bad as Mike Nystul’s Campaigns!